ASHLAND, Ky. – They lined up early for a chance not only to get a copy of “Jarek’s Journey” but also to have the subject of the book sign it. 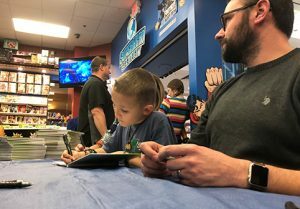 The reveal of the new Amy For Africa children’s book drew a crowd to the SuperHero Creamery in the Town Center mall on March 15. 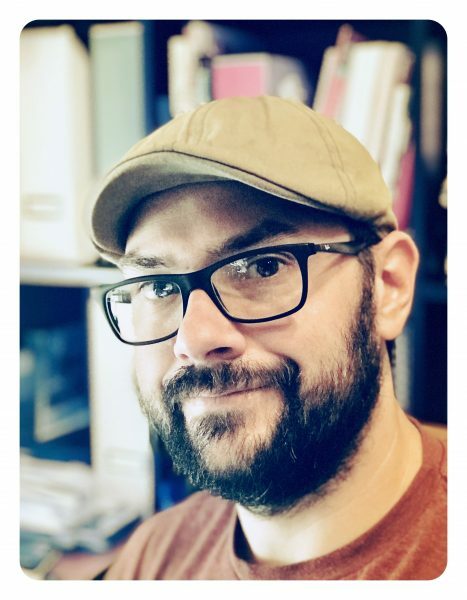 The 20-page fully illustrated book is about how Jarek Compston ran a half-marathon at 6 years old to raise money to send Christmas gifts to Uganda children in December 2017. 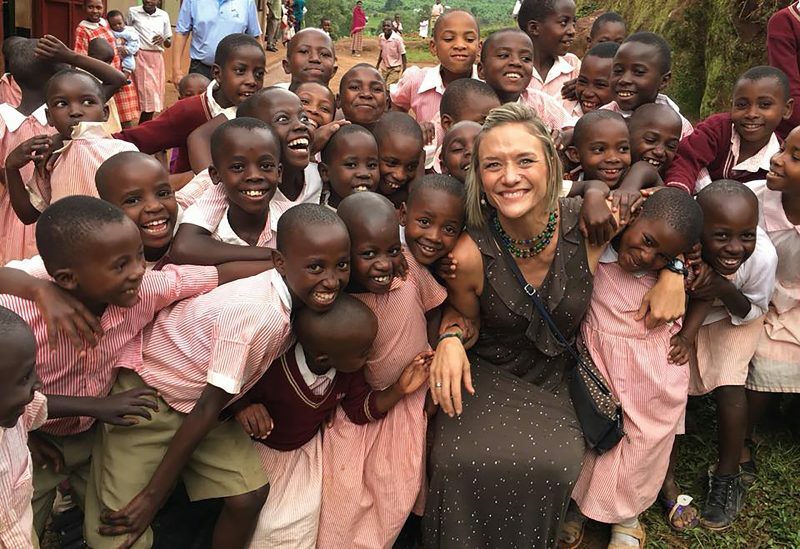 Jarek’s mother is Amy Compston, the co-founder of the Amy For Africa mission. An accomplished marathoner, she trained her son for the rigors of the 13-mile race, which happened to be the 2017 Marshall Marathon in Huntington, W.Va.
Jarek Compston signs a book as illustrator Brian Ashby waits for his turn. Jarek was ready for the race, finishing in 2 hours and 17 minutes, the second-fastest time in U.S. history for a 6-year-old. He ran a second half-marathon six months later and shaved nine minutes off his time. In the process, over the two races, he raised nearly $30,000 for the Amy For Africa mission. 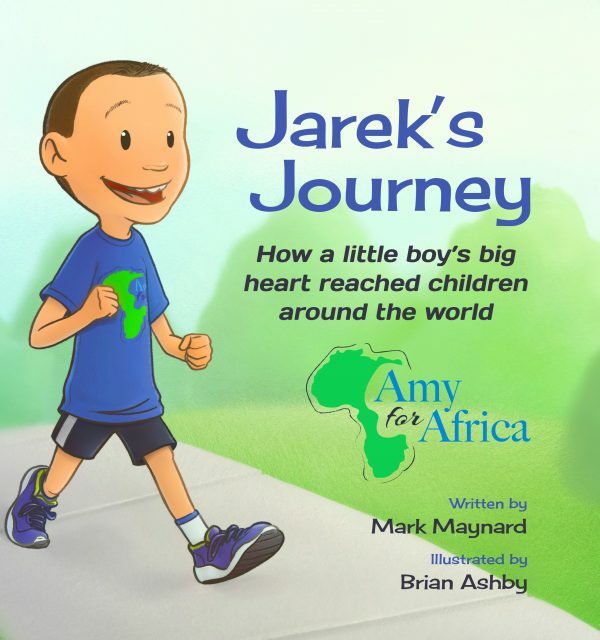 The book, written by AFA co-founder Mark Maynard and illustrated by Brian Ashby, takes readers on the journey with Jarek from asking his mother and father to let him run, through his training and running in the race with Amy, to the Ugandan children receiving the gifts and eventually to Jarek meeting his African friends the following summer. The theme is God can use anyone who is willing, no matter how young or old. Jarek, his mother, the book’s author and illustrator sat at a table and signed books for three hours. Jarek, only 8 years old now, signed more than 100 books and put a message with each one. Jarek never tired of supporters asking him if they could have a photo of him and his mother. One couple purchased 14 copies of the book so they could give it to others who came to mind. Several have purchased a book for their church libraries. Jarek’s grandmothers, aunts and other family came to see him and purchase a book. The first hour of the signing was practically non-stop. 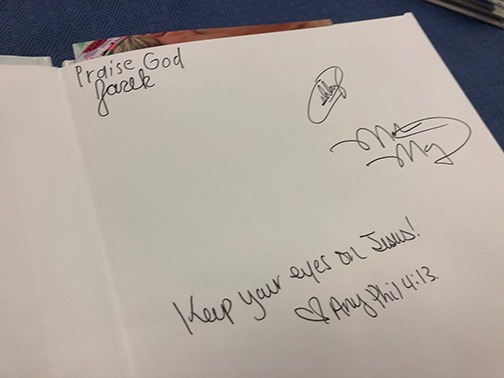 The books, which were produced by Righteye Graphics in Ashland, are on sale at the amyforafrica.com website for $25 or by messaging Mark Maynard, Amy Compston or Amy For Africa on Facebook. All proceeds go toward building the $1.1 million school in Uganda.